If you’re not a member of the private CFD Facebook Group make sure you request to join it. Coach Amy is going to be posting more in it. You’d never drive a race car with the parking break on and expect to win a race, right? The same idea goes for running. When you run with bad mechanics you are essentially running with the parking break on, which is going to majorly slow you down. 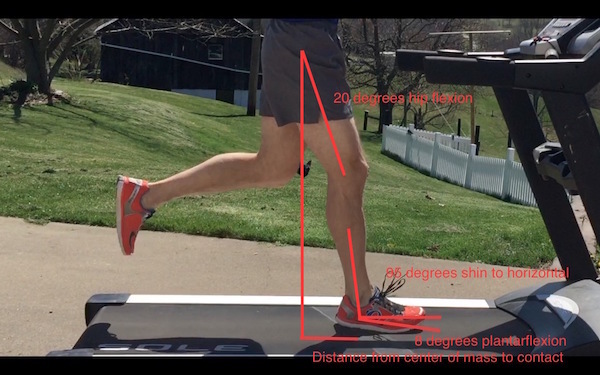 So this week I wanted to share 5 easy cues that will improve your running mechanics which will decrease your risk of injury and improve your performance. The middle of our body (abs, low back, superior glutes) are our chassis. If the chassis of a car is busted you aren’t going anywhere. The same is true for your core. If you can’t stay “braced” then you wont be able to deliver force. Here is a simple “bracing sequence” you can do to make sure your midline is set tight before you take off. The NY Times and some good researchers conducted a fairly large study on why high level runners get injured a few years ago. They determined that how hard the foot struck the ground was the biggest factor that lead to injury. So when you are running LISTEN to your feet (yes that means you might have to take the music off). If you sound like a damn Budweiser clydesdale rolling up Church St. you need to slow down to a pace where your foot can land softly and quietly. 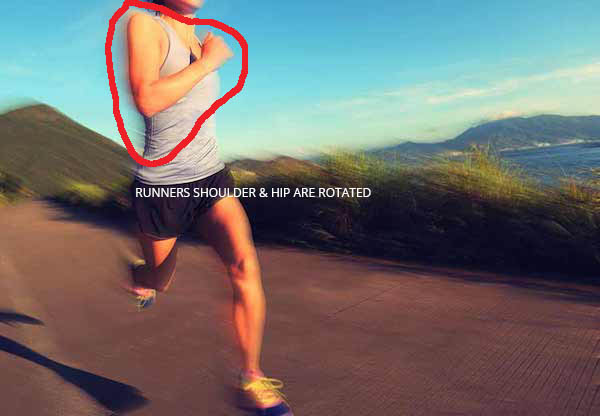 Rotation in your torso during a run is wasted energy. Every time your shoulders or arms swing side to side you are bleeding valuable force that could be used to move your body forward. A simple test to see if you are doing this is to run like you are holding and imaginary gun in each hand. If it’s not steady enough to hit a target 15 feet away you have too much rotation in your torso (or bounce up and down). You need to make sure your elbow is flexed at 90 degrees, that your hands are grasping like they are holding a roll of quarters and that your shoulder rotation is forwards and back, not on a oblique plane that is creating torso rotation. Before someone gets nuts I want to make it clear that 100% DO NOT recommend training for a race barefoot or doing runs in WODs without shoes on. 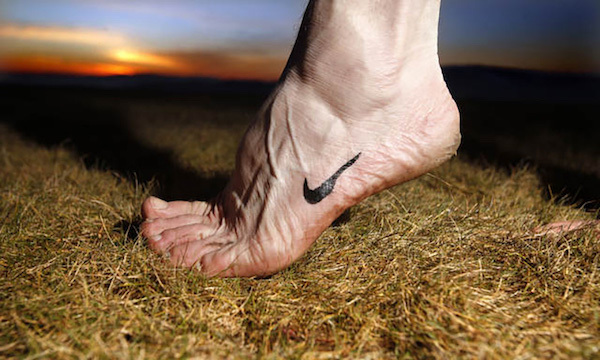 That being said your “style” of running should be footware agnostic. If your running style doesn’t work when you are barefoot then it’s not a good running style. Our foot is a beautiful system that is meant to absorb shock and transmit it back out to the ground (like a spring) when it’s used correctly. If you pop your shoes off and go for a sprint on the track at CFD and the first thought is “Ouch! That hurst my heels or ball of my foot” your running style probably needs some work. If you don’t have a “style” of running or it hurts to run barefoot I highly recommend checking out this video from the Pose Method as a jumping off point. 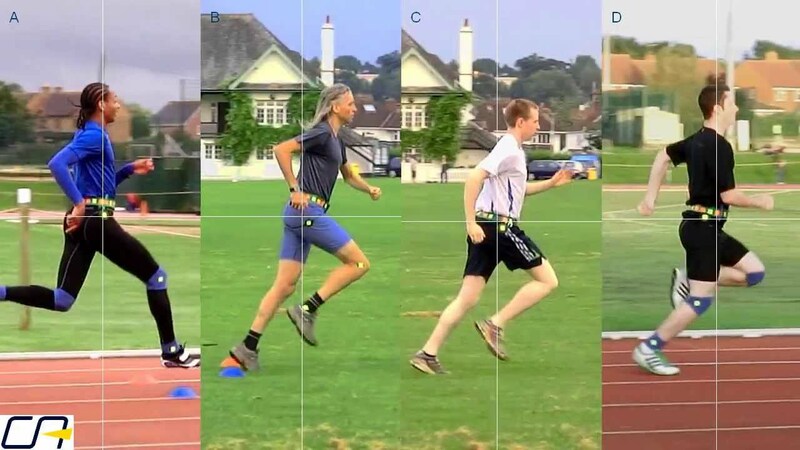 What’s the difference in bio mechanics between sprinting and jogging? How far forward your center of mass (area right in front of your sacrum) is leaning. Everything else stays exactly the same. Next time you are on a warm-up run see if you can go from jogging to sprinting without having to change how your legs or arms move. If you can you are a good runner, if not then you may need some help from a coach. Hopefully these tips can help you make running easier and improve your workouts. If you are wondering if you’re running with good mechanics and are looking for some feedback feel free to ask a coach. We love to help with this sort of thing, but we won’t know you are interested in getting coached up if you don’t ask.